Get a quick monthly payment calculator for your auto loan rate or car lease payments for the new or used Ford with the car payment calculator at Haggerty Ford. Determine your purchase price for your hardworking 2019 Ford F-150 XL or family-ready Ford Escape in West Chicago with tour handy car payment calculator. Have questions on how your auto loan interest or lease payments are estimated for your new or used vehicle in Aurora? 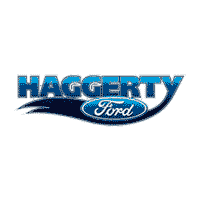 The experts at the Haggerty Ford finance center are here to help! Contact us today! Or if you’re ready to buy your favorite new Ford vehicle or want to compare the estimate for a Ford F-150 XL vs. XLT, calculate your car payment estimate.